Of all the states in the U.S., California is ranked number one for mesothelioma and other asbestos-caused deaths. Due to prolonged asbestos exposure, there are anywhere between 2,276 and 3,795 deaths from malignant mesothelioma every year, in addition to deaths from asbestosis and lung cancer. Most exposures to asbestos came from working with the toxic material at job sites. Many workers were unaware of the risks or never knew the asbestos was there. People affected by the material are now turning to experienced mesothelioma personal injury lawyers to fight back against companies and manufacturers who exposed them to this dangerous construction material. Trust funds have been set up with over $30 billion to compensate those affected by asbestos-related illnesses. If you or a loved one have been diagnosed with asbestosis, asbestos-related lung cancer, or mesothelioma, you could be entitled to a significant financial award. To find out if you qualify, contact a San Diego mesothelioma lawyer at the Jorgensen Law in San Diego at 1-888-855-2948 today. We offer assistance with mesothelioma lawsuits to families in San Diego County. Several industries and companies used a great amount of asbestos between the early 1900s and the 1970s, including the military, electronics, automobile manufacturing, shipbuilding, and construction industries, as well as many others. After experts discovered a definitive link between illnesses like mesothelioma and asbestos in the 1960s, the Environmental Protection Agency (EPA) placed limits on how it was used and usage started to steadily decline. Even with strict limits, asbestos impacts thousands of individuals today through diagnoses of related illnesses. It can take years or even decades for symptoms to appear. If you’ve been affected, talk to a mesothelioma attorney in San Diego as soon as possible after diagnosis. High levels of naturally occurring asbestos can be found under the Earth’s surface in California. While harmless if they remain underground, human activity and earthquakes stir up asbestos fibers and throw them into the air. Because of California’s population boom during the prosperity of the post-Depression recovery, thousands of asbestos-laden residential developments and homes still harbor this toxic material. 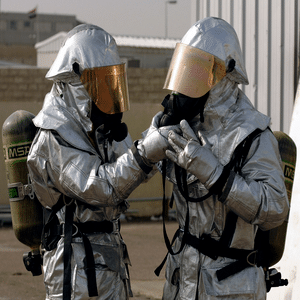 Members of the armed forces who were on active duty between World War II and the mid-‘70s had long time periods where they were exposed to asbestos. Many industries that once used asbestos on a large scale call California their home. During the Second World War, asbestos was used in many automobile plants, shipyards, radio and radar equipment manufacturers, and aircraft factories in the state. 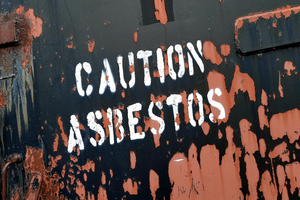 The National Institute for Occupational Safety and Health states that steamfitters, shipbuilders, plumbers, pipefitters, and electricians were the military and civilian workers who were exposed to the most asbestos. California has seen a big population increase since the 1940s which has resulted in both economic expansion and high rates of mesothelioma. People who moved to California to enjoy the warm weather or seek jobs after the Second World War caused a construction boom with widespread asbestos use. Back then, no one understood that the use of asbestos came with severe health risks. It was desirable for construction because it was fire and heat-resistant. You’ll still find many industrial factories, offices, schools, homes, and other buildings that contain asbestos because of this. People who worked with electrical wiring, steam pipes, plumbing materials, roofing materials, insulation, and drywall are at the highest risk of developing mesothelioma because of past asbestos exposure. If you or someone you love has been diagnosed with asbestosis, asbestos-related lung cancer, or mesothelioma, you may qualify for a substantial recovery. Speak with a lawyer at the Jorgensen Law in San Diego today by calling 1-888-855-2948 or filling out our online form. You’ll receive a free case evaluation and you’ll never pay a penny out of pocket unless you win your settlement.